Save on travel for your spring or early summer trip on Mammoth Lakes with United Airlines’ latest flight sale! Flights start from $99* each way. These prices are only available now trhough April 19th, so book your trip today!! To take advantage of these amazing fares and get details and restriction informaiton, visit United.com. *Fare Rules: Fares are each way based on required roundtrip purchase and valid for travel in United Economy® on United Airlines® and United Express® carriers. Purchase by 11:59 pm (PT) on April 19, 2019, and at least 7 days prior to travel between April 15, 2019 to June 30, 2019. Fares listed are each-way based on a roundtrip purchase. Book your flight to Mammoth Lakes on United.com. Or explore these other places with connections to Mammoth Lakes. United has expanded flights to include daily, non-stop flights from LAX (year-round), Denver and San Francisco this Winter season. 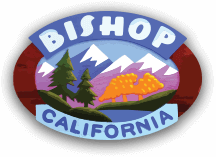 These daily flights connect Bishop via Mammoth Yosemite airport (MMH) with over a hundred cities around the globe. Fly to Mammoth Yosemite airport from Boston, Houston, Chicago, New York, and more. For flight info and booking go to www.united.com. Get FREE transportation to Yosemite National Park on YARTS with your United boarding pass! JetSuiteX provides simply joyful air travel by eliminating the hassles and inefficiencies associated with commercial flying. Arrive moments before departure and step onboard one of the 30-seat E135s with all-leather seating, business class legroom and a curated selection of free drinks and snacks on every flight. Book flights through April 7th and get to the slopes faster and easier than ever before at www.jetsuitex.com. Through a partnership with JetBlue, you’ll find JetSuiteX flights available through travel agencies, including Expedia, Travelocity, Orbitz, and more. *Fare Rules: *Fare Rules: Fares are each way based on required roundtrip purchase and valid for travel in United Economy® on United Airlines® and United Express® carriers. Purchase by 11:59 pm (PT) on April 19, 2019, and at least 7 days prior to travel between April 15, 2019 to June 30, 2019. Some flights may be operated by the following airlines, doing business as United Express: Chautauqua Airlines, CommutAir, ExpressJet Airlines, GoJet Airlines, Mesa Air, Republic Airlines, Shuttle America, Silver Airways, SkyWest Airlines or Trans States Airlines Fares listed may be Basic Economy tickets which are subject to additional restrictions including, but not limited to: no seat selection or upgrades, no group or family seating, no full-sized carry-on bags and no flight changes or refunds except as stated in the United 24-hour flexible booking policy. Certain MileagePlus and MileagePlus Premier® member benefits are not available. For tickets purchased through United Reservations offices or at airport ticket counters, additional reservation fees will apply:$25 for United Reservations office bookings, $30 at a City Ticket Office and $50 for airport ticket counter bookings. No reservation fees are added for tickets purchased at united.com. Fees are subject to change without notice. Other restrictions may apply. Fares purchased through other distribution channels may also be higher. When purchasing from United, always go to united.com to find United’s lowest fares. Seats are limited and may not be available on all flights/dates. Itinerary changes: U.S. tickets are nonrefundable. No changes may be made after ticketed departure date for any portion of the ticket. For tickets canceled prior to the ticketed departure date, tickets are valid for travel one year from the original issuance date for a service charge of $200 for domestic U.S. Changes made on or before departure are subject to fare rules and a service charge of $200 for domestic U.S. If a reservation is not canceled before the ticketed departure date, the ticket has no value. Baggage fees: Additional checked bag fees apply. For bag fee information go to united.com/baggage. Other conditions: Fares, fees, rules and offers are subject to change without notice. Seats are capacity-controlled and may not be available on all flights or days. Fares are nonrefundable except during the first 24 hours after purchase. Other restrictions may apply. Click here to view the MMH web cameras.